Derrick Vacu-Flo™ degassers have a more efficient vertical tank design than traditional horizontal degassers, offering over 217% more surface area than alternative designs. This additional capacity results in no increase in vessel size, tank space requirements, unit weight, or reconfiguration of pit arrangements. 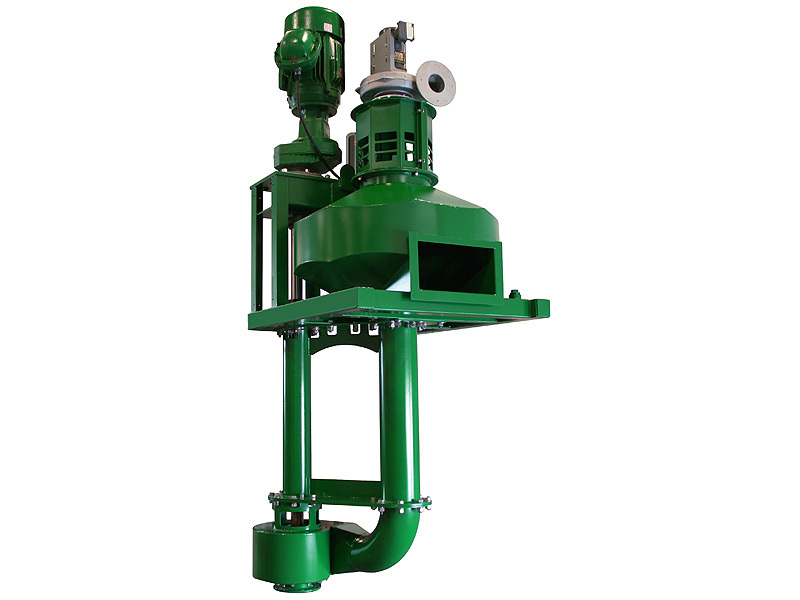 A 5 HP vacuum pump, capable of pulling 29” Hg, draws mud into the degassing chamber where decreased pressure causes gas bubbles to surface from the fluid more rapidly. A stacked, corrugated fiberglass leaf arrangement and multiple feed ports provide higher fluid impact, thinner layers of mud dispersion, and greater turbulence for more efficient gas removal. Derrick’s Vacu-Flo degassers offer convenient access to the leaf assembly and float mechanisms (without having to remove the vessel lid) through an oversized access door. This feature significantly reduces downtime and maintenance costs compared to other units. The Vacu-Flo 1200 has a leaf area of 16,755 in2 (10.8 m2).